The “WOBBEGONG” Canoe is designed for strength, flexibility and manoeuvrability, from calmer waters to exciting high impact whitewater rapids. 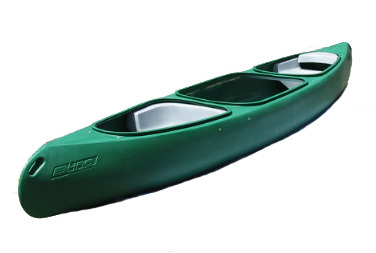 Constructed from durable and tough lightweight polymer, the “WOBBEGONG” Canoe is built to take the roughest treatment and conditions. Renowned for low damage and minimal maintenance, the “WOBBEGONG” is the ideal canoe for casual recreation, canoeing enthusiasts, hire operators, tour operators and other sporting organisations. Seating up to three people the “WOBBEGONG” is available in a range of standard colours.